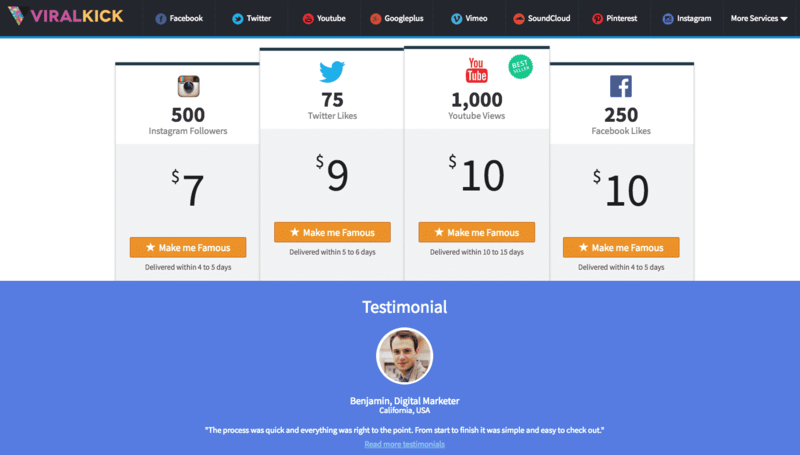 Viral Kick is an American social media marketing company established in 2013. 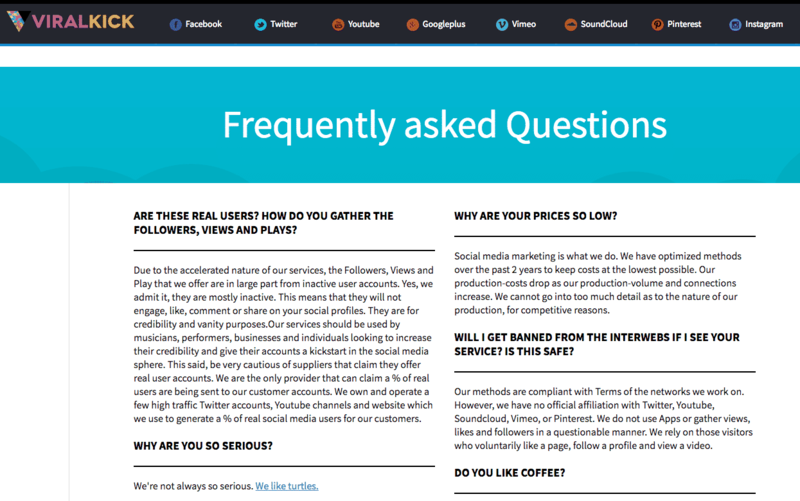 They have services for different sites, including Twitter, Instagram, YouTube, and Facebook. They claim to provide you with SEO value and online credibility that will build your popularity quickly. Their site has a simple design and their services are easily accessible from the top menu. Their ordering process is quick, requiring only three steps to complete. You can combine different services into a single order for ease of purchase. 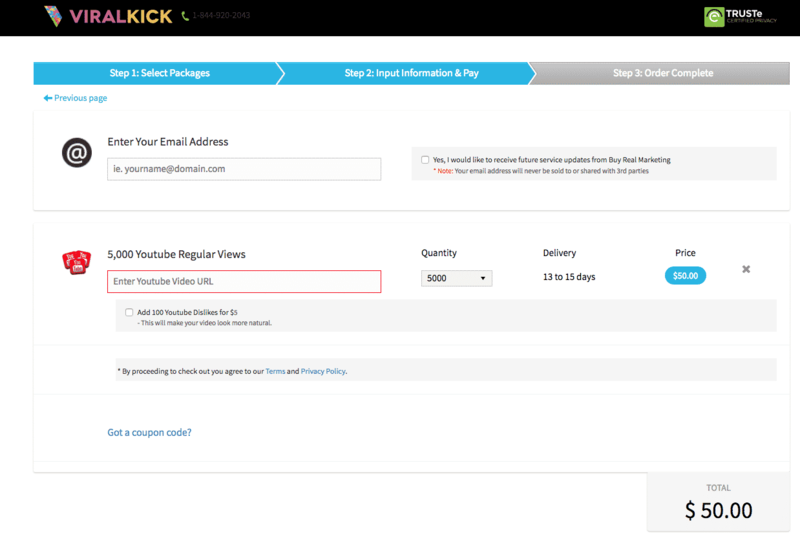 Viral Kick provides a 60-day full refund guarantee for failed deliveries. You can alternatively get credits to be used for later purchases. If your views drop they give you a 60-day replacement warranty. They accept Paypal and major credit cards for payment. We like the company’s easy ordering process and open declaration of their service’s nature. 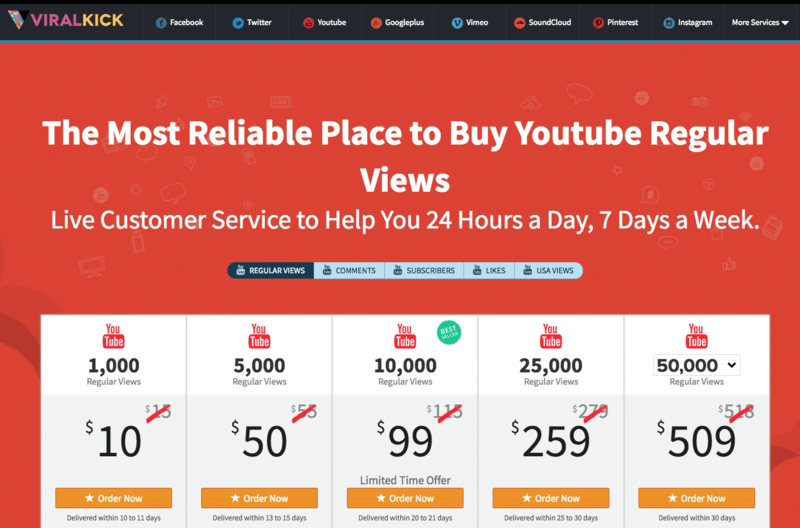 Their service is reliable, and we like the option to target viewers in the USA specifically. The refund and replacement guarantees they offer is a solid backup for your purchases, and it’s good to know you have options for how you’ll get hold of their customer support. We recommend them as an above average provider made better by their wide variety of services. Let us know what you think of Viral Kick by posting your own review below.